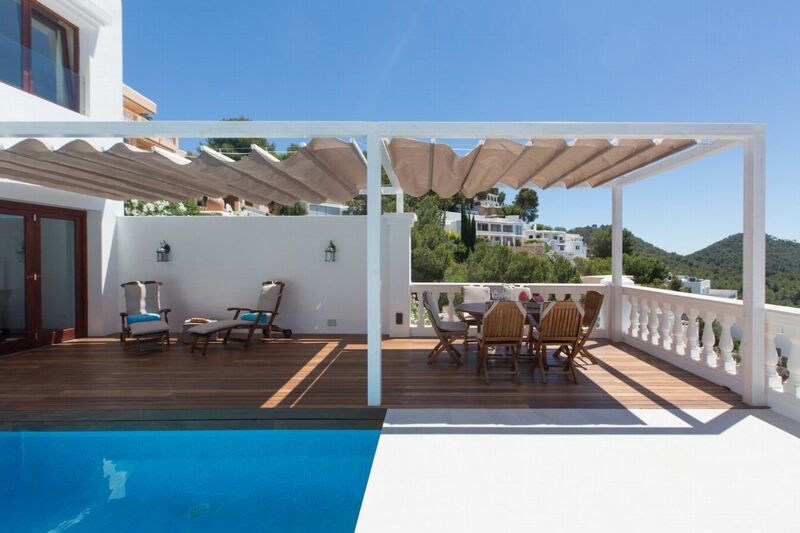 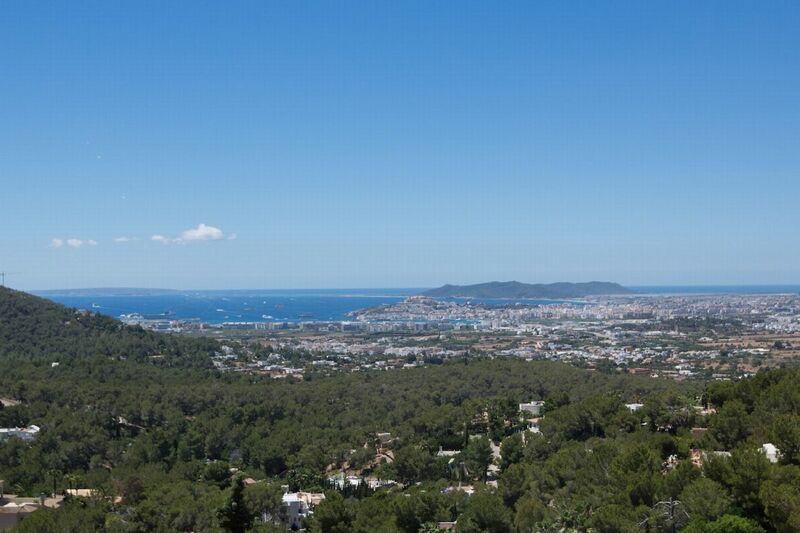 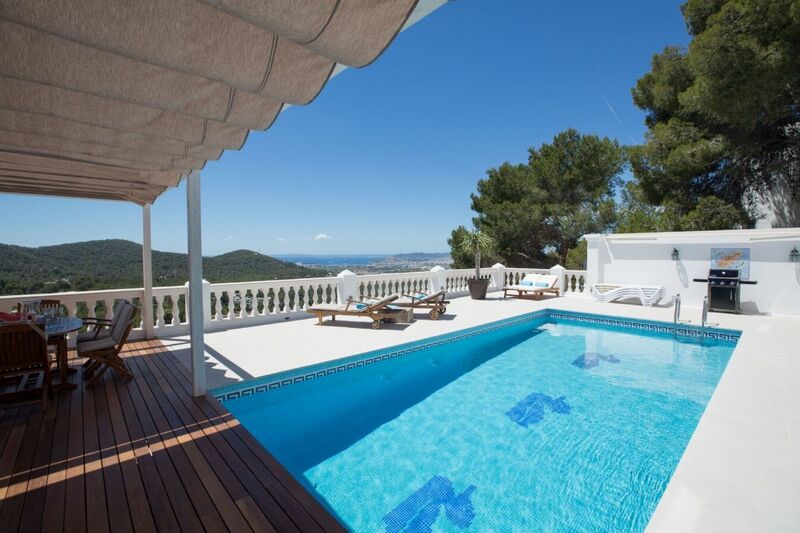 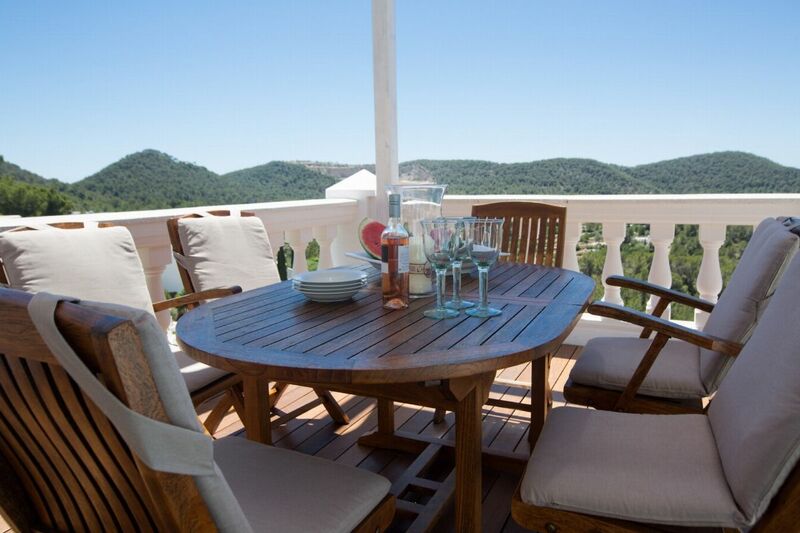 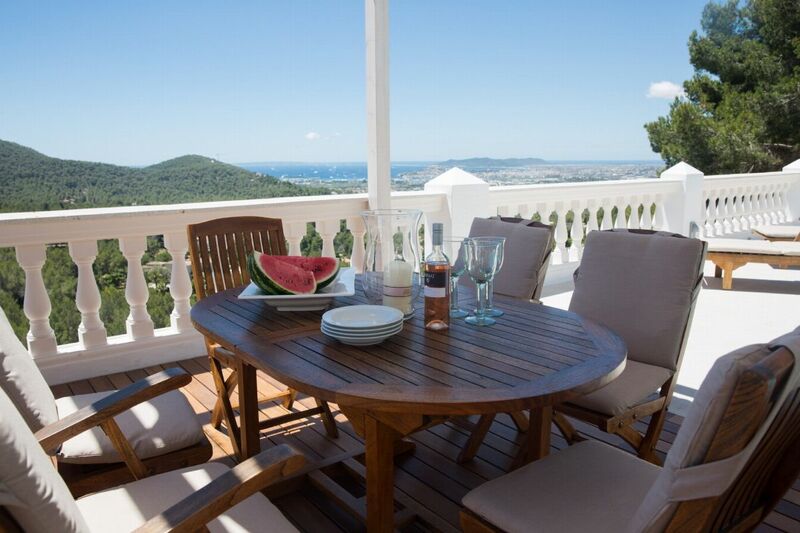 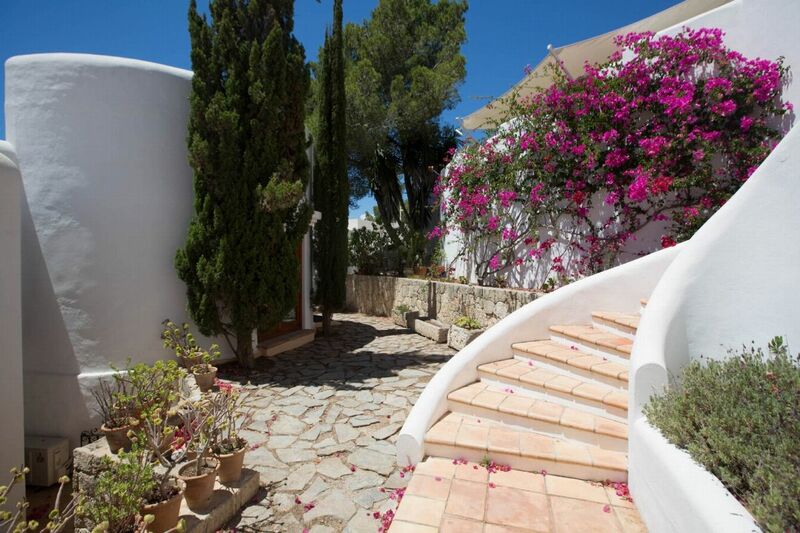 Hilltop property with panoramic views of Ibiza located in a secure urbanisation. 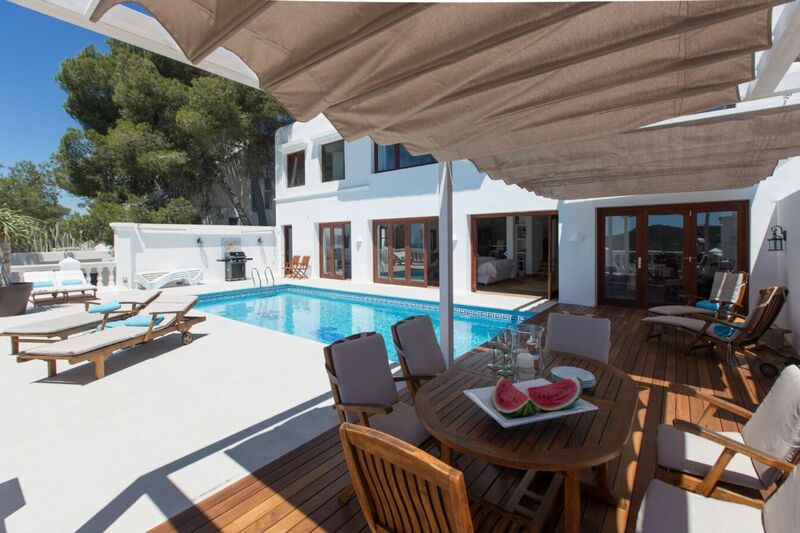 This fabulous modern 5-bedroom villa is located on one of the highest hilltop plots within the secure urbanization of Can Furnet. 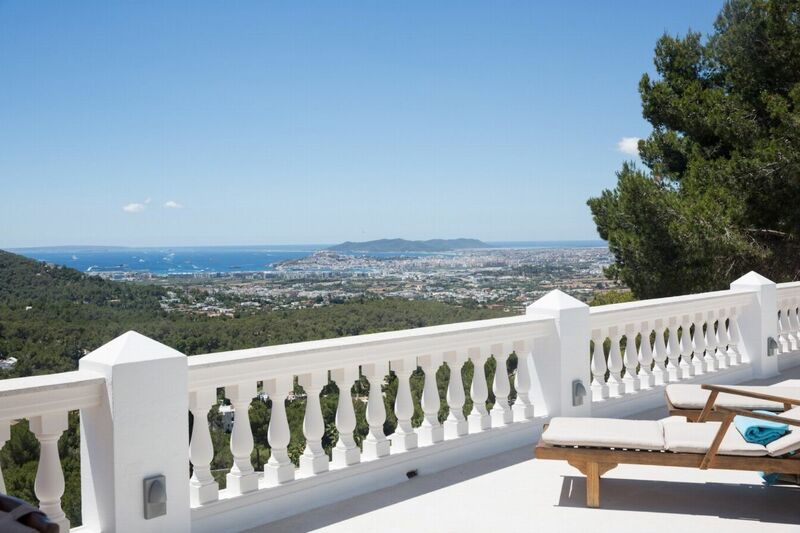 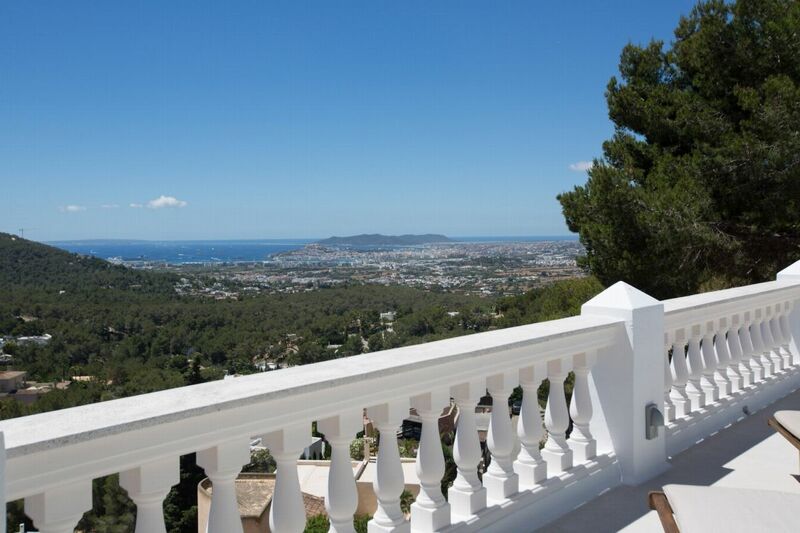 The propertyâ€™s hilltop perch offers incredible panoramic views across Ibiza Town and its surrounding coastline, stretching as far as Formentera. 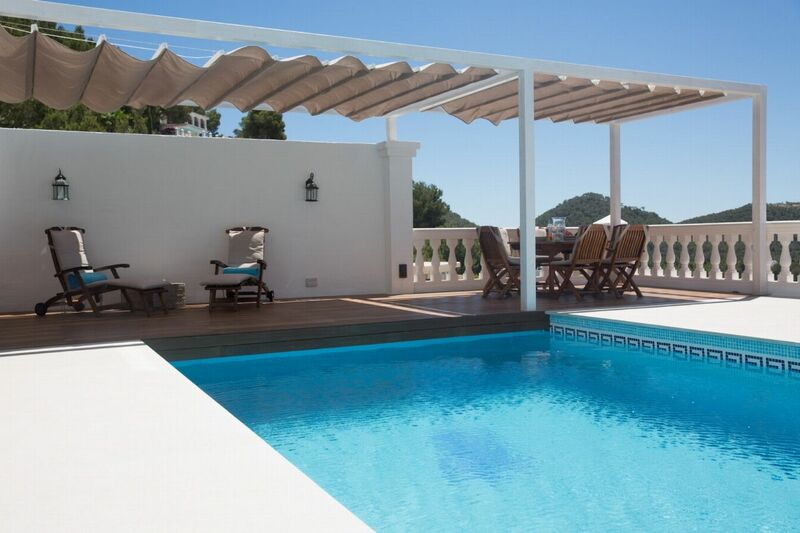 The large pool is located at the back of the villa and is surrounded by a sun terrace facing the coastline and hilltops, there are luxury sun loungers, outdoor shower, BBQ area and a shaded al fresco dining space with coffee table area. 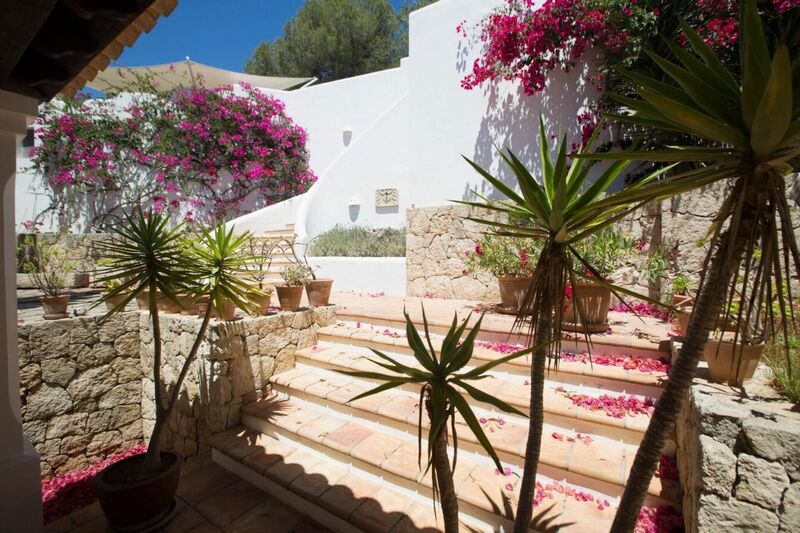 The rest of the property is wrapped front and sides with tall ferns, colorful plants and a paved terraced. 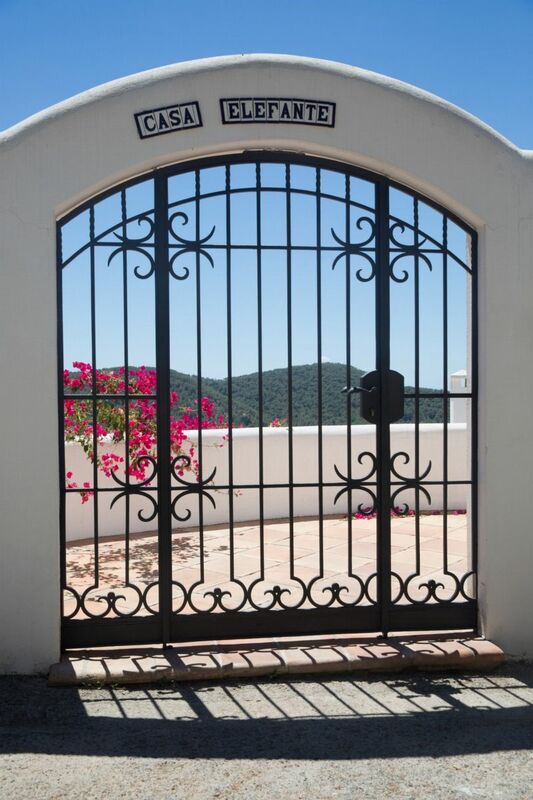 The property is secured by an alarm system and safe, offering guests a great level of security and privacy with private parking space. 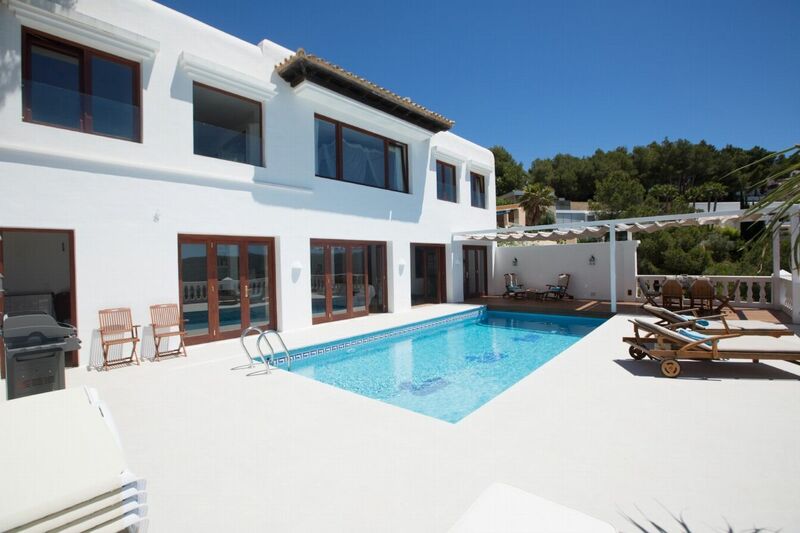 LIVING AREAS	The main living room is beautifully finished and offers large sofas, study space, dining table, relaxation chairs and large glass doors, offering great views and direct access to outdoor dining / pool area. 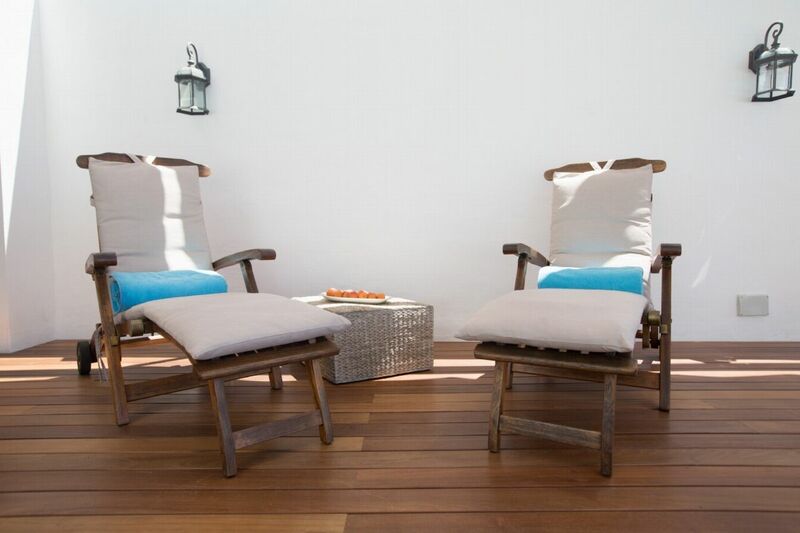 This space comes fully equipped with all the latest mod-cons including plasma TV, satellite and sound system. 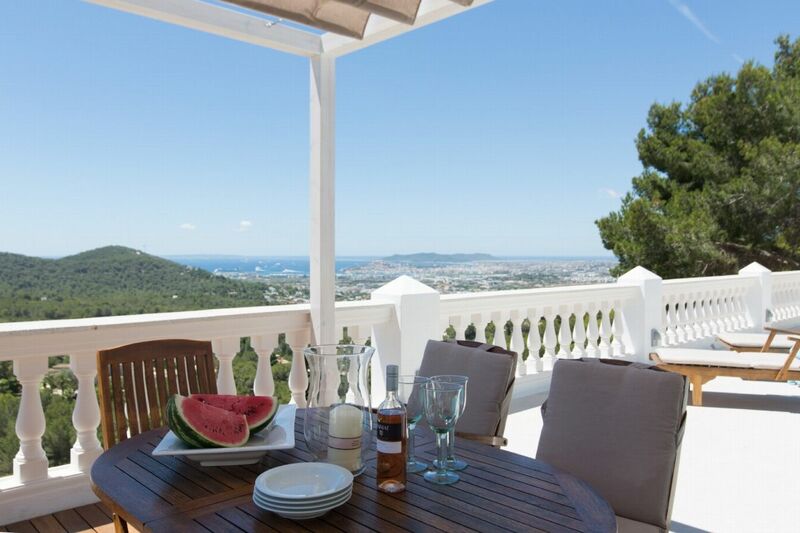 There is also an additional living room on the 2nd floor with sofas / seating area and study space offering guests a second private living area space for relaxation with stunning mountainside views out to the coastline. 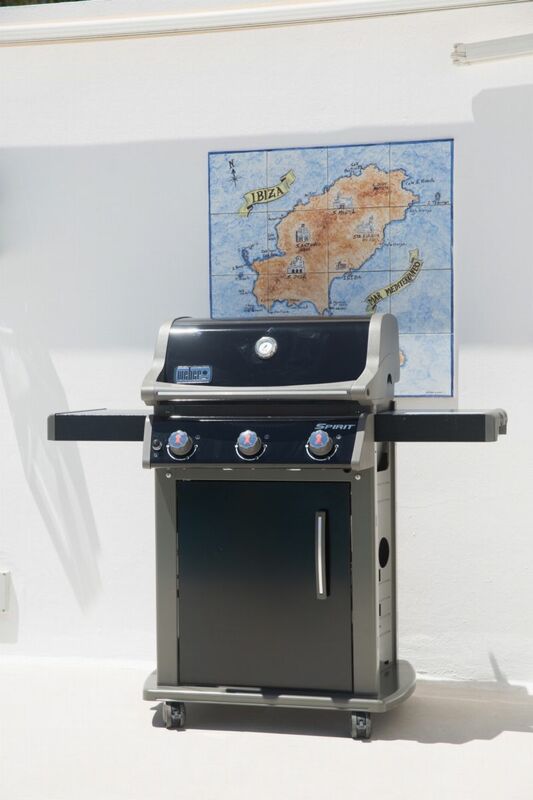 The spacious modern kitchen comes fully equipped and offers guests the very best appliances and mod-cons for all cooking and catering needs i.e. 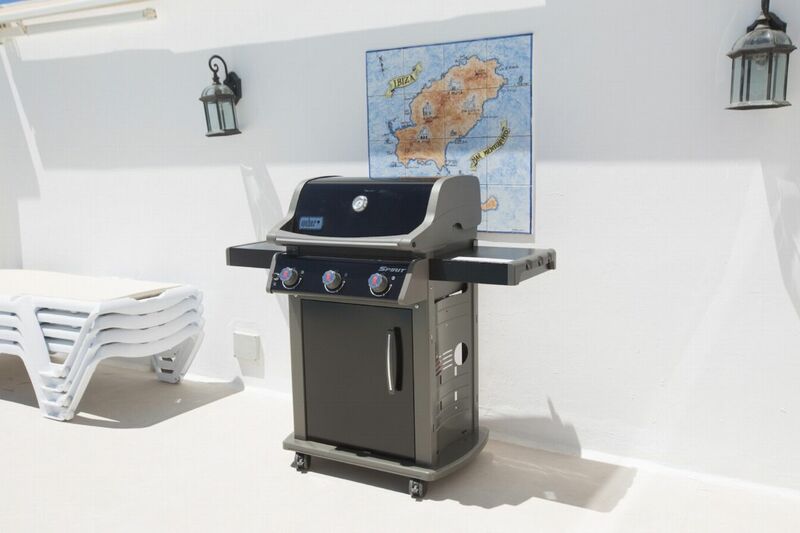 electric cooker, hob, oven, fridge, freezer, dishwasher, etc. 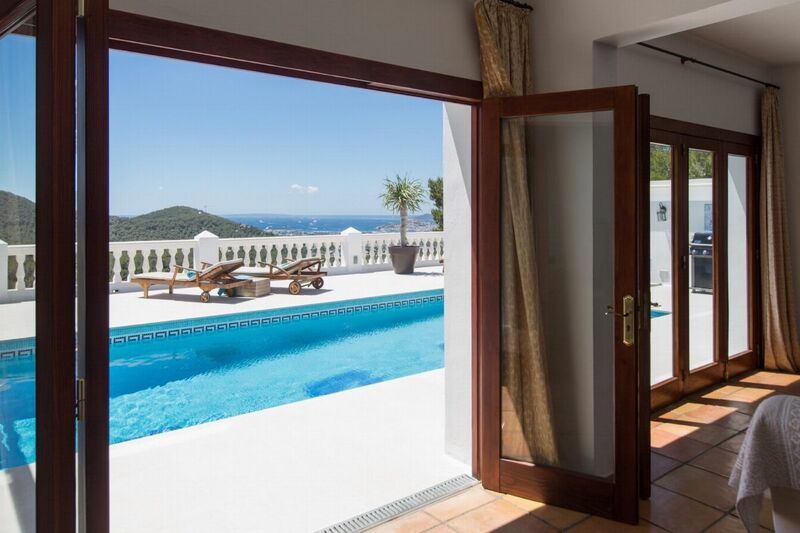 Adjacent to the kitchen is a dining area that can be served directly via the breakfast bar, all with direct access to the pool area and stunning views. 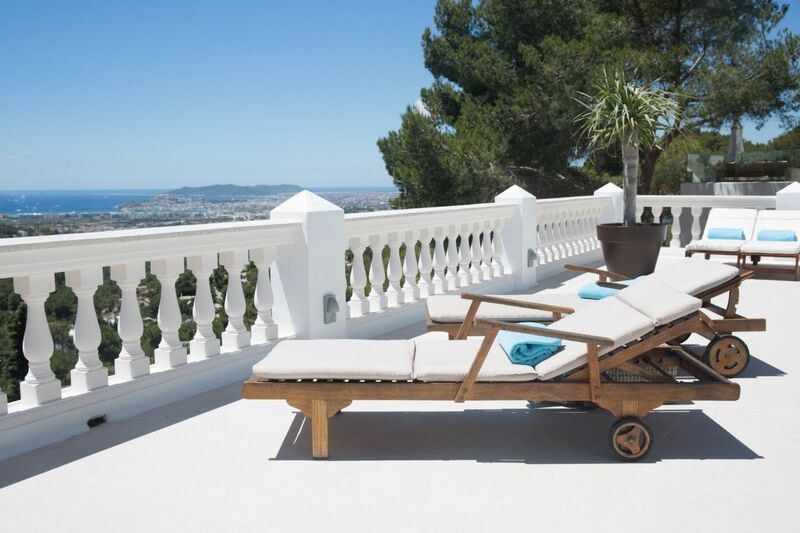 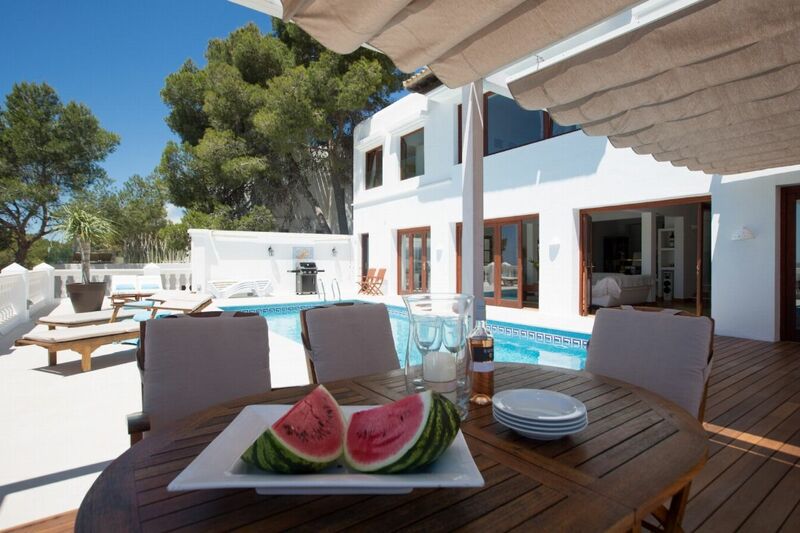 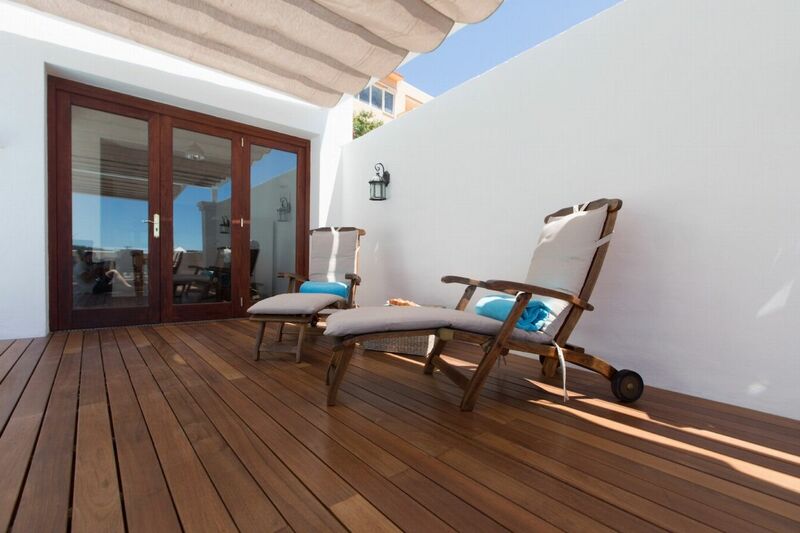 The villaâ€˜s ideal location is just a 5 minute drive to Jesus and Ibiza Town and a short 15 minutes to the airport, offering guest the ultimate in convenience and comfort. 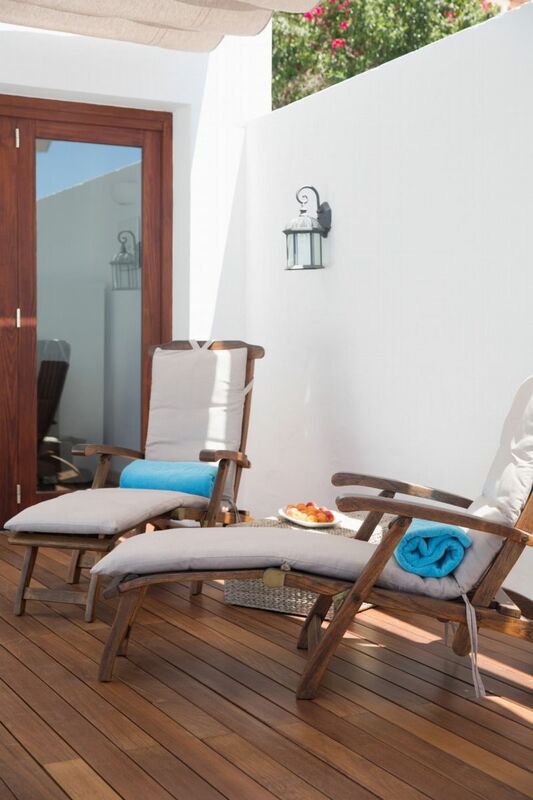 Master king-sized Balinese 4 poster bed, large walk through wardrobe space, dressing area, large en-suite bathroom with Jacuzzi bath, connecting sauna, air conditioning, incredible mountain & sea views. 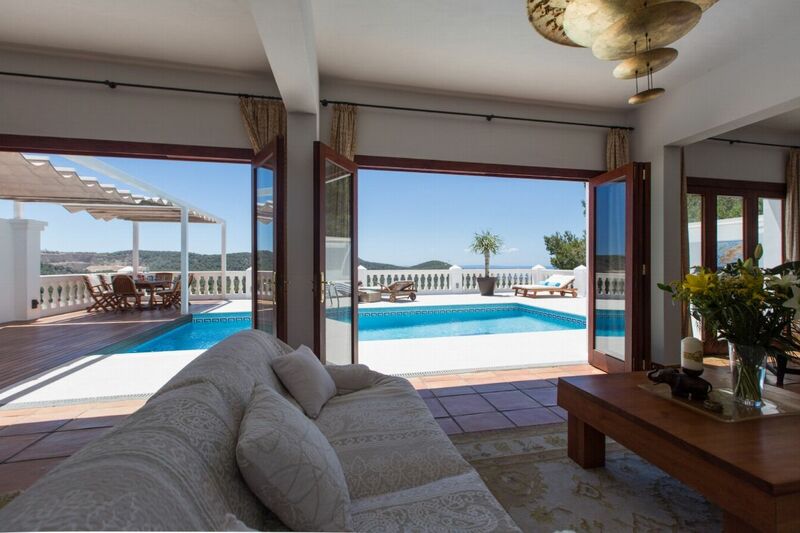 King-sized bed, views, air conditioning. 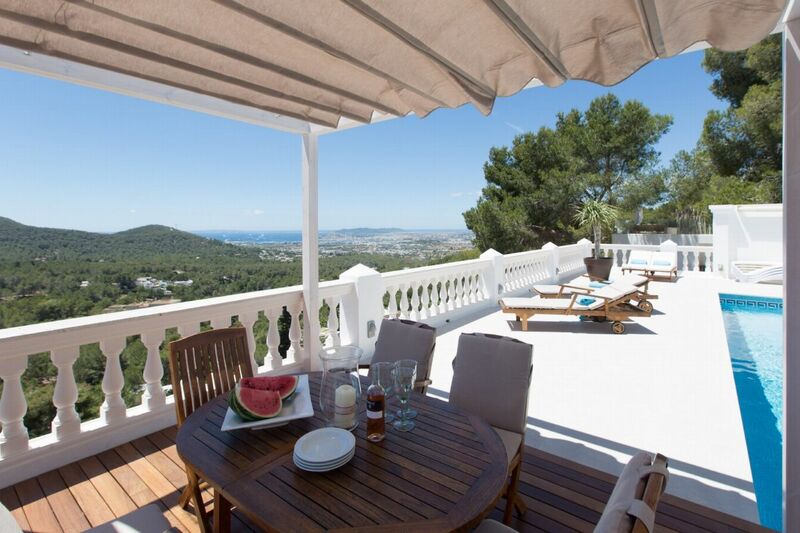 Double bed, terrace, air conditioning.